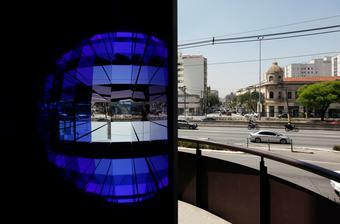 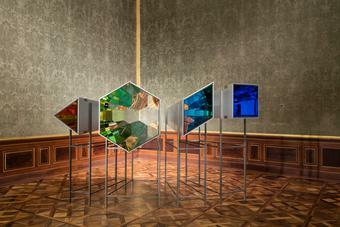 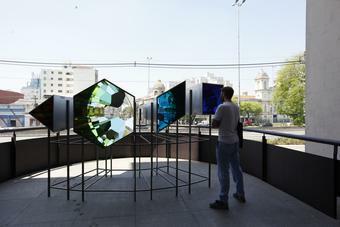 Seu planeta compartilhado presents itself as a sequence of individually shaped and coloured kaleidoscopes, resting on a unified metallic frame. 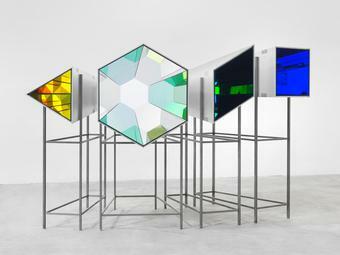 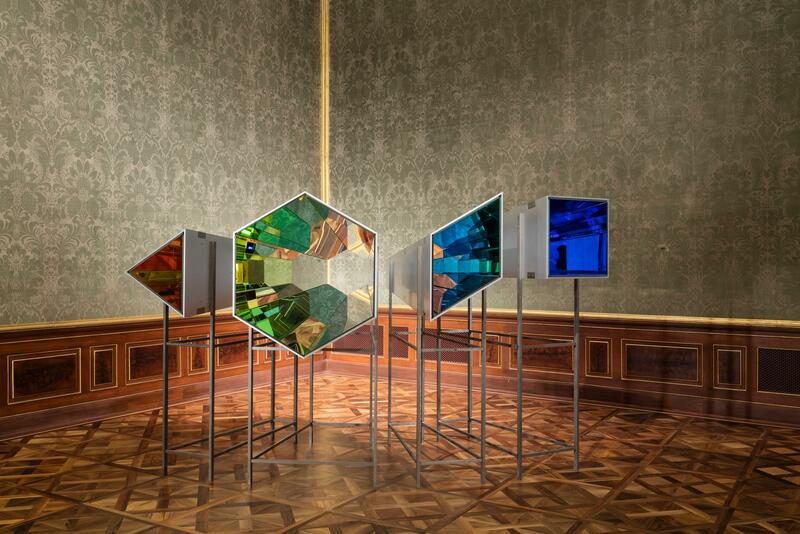 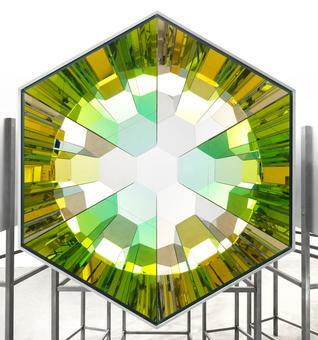 The work – ranging in shape from triangular and hexagonal to rhombic and square – invites the viewer to become an active co-producer of space by walking along the curved, open side of the viewing machine. 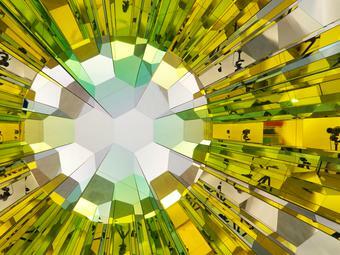 Moving along the openings at eye-level, a faceted view of the surrounding space unfolds, in changing colours from yellow to green, turquoise, and blue. 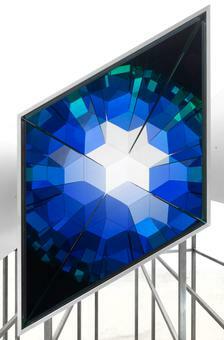 The tapered ends of the four kaleidoscopes are synchronised in their orientation to one joint vanishing point. 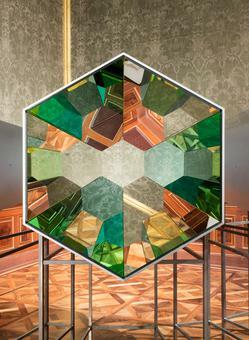 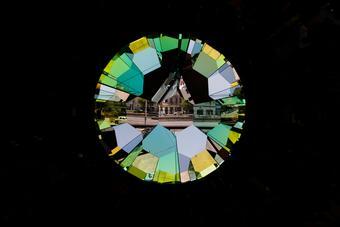 The process of seeing the space through a sequence of kaleidoscopes produces seemingly infinite fragmentary reflections; a spherical shape emerges, the image of a shared space, and ultimately a shared planet. Seu planeta compartilhado touches on a recurrent theme in Eliasson’s work: the co-dependency of perception, space, and universe.